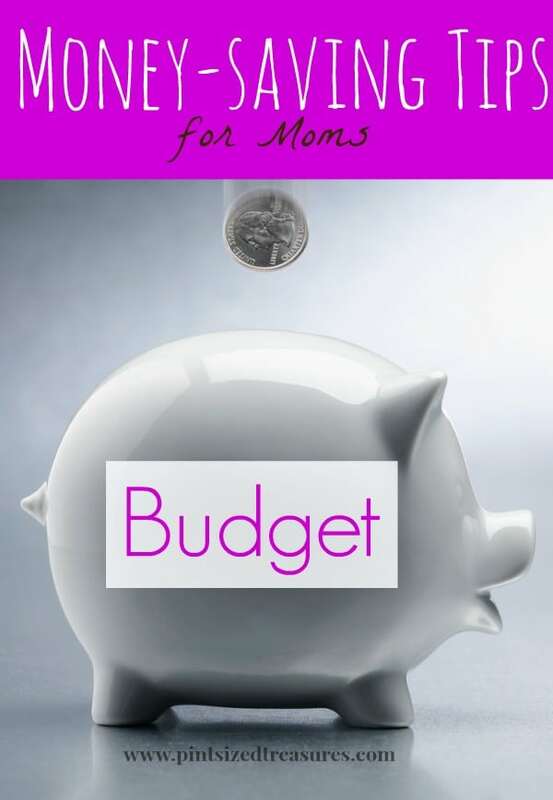 Home › Frugal Living › MORE Money-saving Tips for Frugal Moms! Mr. Lincoln knew something about the value of money, and about a good budget. In fact, I am sure he had a few money-saving tips of his sleeve too! Most parents desire to provide a comfy lifestyle for their kids. Sometimes the income doesn’t always fit our needs and wants on paper, but there are ways around that! With six growing kids, our needs grow too. But, sometimes our income doesn’t match our budget for the month. When that happens, what do we do? Well, simply put — we change things. We cut back in one area, to make room in another. When we save on our grocery budget, then we have wiggle room in our clothing budget. If we cut down on over-priced cleaning products, then we have more money to put into educational needs. You see the trend? If we save money in one area, we can use the difference and invest it in an area where the budget is a little tighter. With a little bit of thought, discipline and planning, you can save money and spend the savings on a different need or want. Here are some simple, yet important areas you can start saving money — now! Do an inventory. Keep track of the amount of toiletries being used. Oversee your child’s teeth-brushing and bathing. Remember, only a dime-sized amount of shampoo or body wash is needed for a child. Many times they use two or three time the amount when unsupervised. (Trust me on this one.). Hang-dry laundry. instead of using a clothes dryer, hang your clothing inside or outside your home. Not using the clothes dryer frequently could save you 40 dollars or more a month. You could then use that $40 and invest it in another area in your budget that needs some cushioning. Eat at home. Sigh. I know it so lots of fun to eat-out, it really is. But, it’s not exactly a money-saving technique. Restaurants charge you for service, food, atmosphere and more. Save the difference and enjoy a quiet evening at home eating a nutritious, home-cooked meal. If it’s the convenience you love, check out these quick and easy meals. Make your own joe. Coffee shops can get quite pricey after the whipped cream and flavored syrups. Even a plain cup of coffee a day will put a small dent in your wallet at the end of the week. You can easily spend $20 per week on just coffee. Experiment with different flavors and syrups and become your own barista! Plan your outings. If you’re running errands, map out all the places you need to go before you leave the house. This way you can figure out the most gas-efficient roads to travel and avoid backtracking. As the price of gas goes up, this money-saving tip will be a major help! Shop second-hand shops for kid’s clothes. Those little munchkins grow so fast that their clothes do not get a lot of wear and tear. Gently used clothes are available in many locations for a fraction of the price of new clothes. If you have time, garage sales typically offer better deals than thrift stores. You can really rack up if you hit a neighborhood yard sale. There is little traveling to do, and you can sometimes go to 50 yard sales in a little over an hour. It’s a favorite past time for me and my mom, and I am sure my girls will keep the tradition alive! They love buying books for .50! Think small portions. Food often goes to waste due to plates being piled too high by well-meaning mothers and grandmothers. Start small and build up as needed. This will save money at every meal and keep food waste under control. Wash hands frequently. Fewer germs mean fewer doctors visits. Keep the medical costs down by encouraging and teaching proper hygiene to your kiddos. Take time to teach them how to scrub their fingers and hands. Also, encourage them to keep their hands away from their face. Germs are everywhere, and the more often kids touch their face, the more likely they are to come in contact with a not-so-friendly cold germ. Visit the library. Instead of buying books and dvds on a consistent basis, try your local library. It is packed with DVDs, books on CD, and hundreds of books your kids will love! Plus, there are fun games and activities the kids can play while you check out some fun mom stuff too. Clip coupons. Many new parents do not have time to become the next coupon guru, but it takes little time to clip a few coupons once a week from the Sunday newspaper. Keep your eyes and ears open for double coupon days! Also, don’t forget that many sites offer click and print coupons. Pick which coupons you want, and print! What are your favorite money-saving tips? We would love to hear them!